My favorite part -Butterscotch, the animatronic pony from Hasbro. 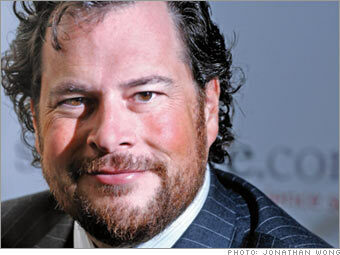 Thanks to Sonshi.com for the tip on a recent interview with Salesforce.com CEO Marc Benioff. The full article can be found here: http://sonshi.com/benioff.html. Sonshi.com: Would you mind sharing with our readers a time when the book helped you to compete in business and/or helped you in your life? Sonshi.com: The mantra at salesforce.com is the “End of Software.” How would a company looking for CRM benefit from choosing salesforce.com over more traditional software companies like Oracle or SAP? As an alternative to the current system, salesforce.com offers Web-based applications. It’s now been proven that on-demand solutions can deliver immediate benefits at reduced risks and costs. Our application utility model, which we promote as “The End of Software,” focuses on eliminating conventional software in favor of a software-as-service model. What we mean by this is that users pay a reasonable monthly fee as opposed to tens of thousands (to millions) of dollars to install and upkeep the CRM solution. Since the solution requires no software or hardware to buy, install, maintain, or upgrade, customers typically realize savings of greater than 90 percent versus similar client/server solutions. The best part is that it works: salesforce.com is designed to be as simple to use as sites like Amazon or Yahoo, while at the same time it’s capable of handling a company’s complex CRM needs.